The email contact forms can either be created easily and quickly with the "Easy Form Wizard" or be designed completely from the ground up. Upload the php file to your website and copy/paste the insertion code to your HTML or php host page, or simply open the php file in your browser without using a host page. It can also be integrated in CMS systems like Wordpress, Joomla, Drupal or Typo3. 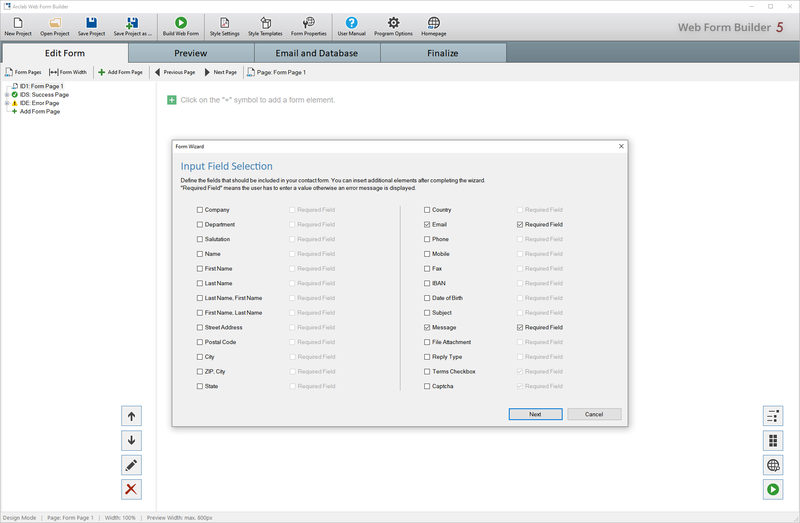 Arclab Web Form Builder allows you to define a sequence of submission tasks which will be executed on form submission. Arclab Web Form Builder the online form creation software for Windows PC to create Email and MySQL forms with ease. Build single or multi page forms on your Windows PC and upload the forms to your own web server, web space or CMS system. 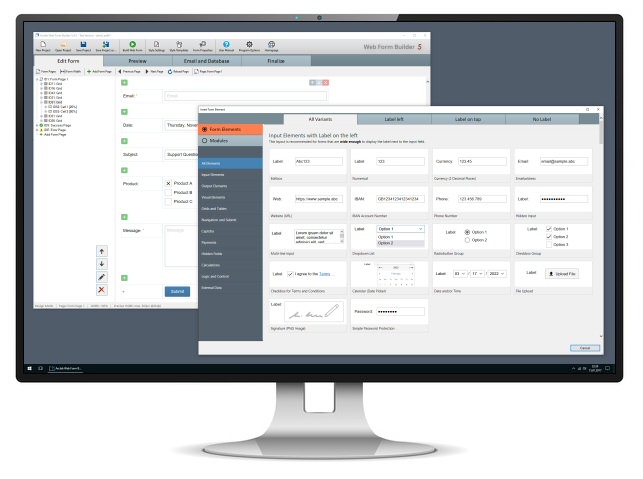 Arclab Web Form Builder allows you to create single- and multi-page (sequential) php forms with ease. It supports all common form elements for email contact forms, support forms, surveys, application forms and custom forms. Web Form Builder is a software product for Windows PC, which creates the complete php form and processing code for you. There is no manual coding required. The php forms generated by Arclab Web Form Builder are running on your own web site. It's not required to use an external service provider to host your contact forms charging fees for every form submission. Simply upload a single file to your web site and get rid of external dependencies. The forms are running on all web space packages and web server using php > 5.3.2, php 7++. The script generated by the program can be easily integrated into the desired host page. Simply copy the HTML insertion code displayed in the program into your web page and upload the generated php file. It can also be used with CMS systems like Wordpress, Joomla, Drupal or Typo3.